You will also be instructed to avoid lifting or bearing any weight on your arms for several days to weeks. 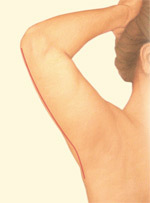 Your surgeon may also advise you to limit your range of motion until internal healing is complete. You will be ready to return to work and light, normal activities within a few days, as long as you do not engage in any lifting or vigorous exercise. Follow all instructions carefully – this is essential to the success of your outcome. 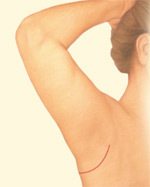 Your incisions will heal within 7 to 14 days, after which time sutures will be removed if necessary. Additional healing will continue for many weeks as swelling resolves and incision lines continue to improve. Numbness and a firm feeling over the skin’s surface will resolve over time. You must practice diligent sun protection until the healing process is fully completed or skin in the treated area may develop irregular pigmentation and scars may become raised, red or dark. 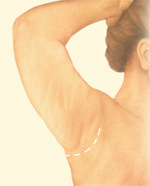 It may take a year or more following a given procedure for incision lines to refine and fade to some degree. 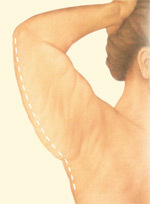 Continue to follow your plastic surgeon’s instructions and attend follow-up visits as scheduled.